Ashley Novak is a veteran of the United States Air Force who seamlessly transitioned her strong military background of acquisitions, finance and contracting to a successful career as a realtor. In the highly competitive Los Angeles real estate market, Ashley sets herself apart by delivering best-in-class service with a high level of integrity and commitment to her clients. Ashley’s unwavering tenacity, dedication and class paired with her down-to-earth personality makes her a pleasure to work with, resulting in long-standing client relationships built on trust and confidence. Ashley Novak specializes in luxury homes and real estate in Beverly Hills, Bel Air, Brentwood, West Los Angeles, Santa Monica, Pacific Palisades, Westwood, Mar Vista, Culver City, Venice, Malibu, Marina Del Rey, West Hollywood, Playa Vista and surrounding areas. Her representation of sellers and buyers spans a wide range of clientele that include first-time homebuyers, executives, investors, developers, entrepreneurs, families and more. Ashley’s proven track record of success paired with her negotiation skills, world-class client service, and marketing expertise guarantees that every buyer and seller she represents receives exceptional results. Her expertise combined with the backing of one of the top brokerages in California, Rodeo Realty, produces extraordinary results. Whether you’re looking for your dream home or selling your current property, Ashley Novak is your preeminent resource for all of your real estate related needs. Ashley Novak and Jonathan Schultz have come together as a team combining resources and leveraging individual core competencies to provide their clients with the best possible service. Ashley and Jonathan specialize in selling real estate on the Westside of Los Angeles. They are hands-on agents who guide their clients through the process from beginning to end. Their unwavering commitment in conjunction with their full proof marketing plan and hands-on approach to selling real estate produces exceptional results. Their partnership is also backed by a team of technology, marketing, advertising, design, photography and printing professionals to ensure outstanding results are delivered to every client regardless of what side of the transaction they are on. 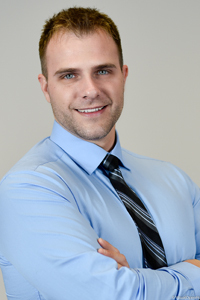 Jonathan graduated from Illinois State University with a bachelor’s degree in Business Administration and Economics. Jonathan has over a decade of experience in marketing, finance, business development and contract negotiation. Jonathan has exceptional attention to detail and is an expert problem solver. Those skills paired with his knowledge, experience and personal commitment to deliver unprecedented value to each client, ensures every transaction runs as smooth as possible and no rock is left unturned. You can rest assured you have selected a true professional with Jonathan and are sure to become a lifelong client after working with him. Ashley and Jonathan specialize in real estate in Beverly Hills, Bel Air, Brentwood, West Los Angeles, Santa Monica, Pacific Palisades, Westwood, Mar Vista, Culver City, Venice, Malibu, Marina Del Rey, West Hollywood, Playa Vista and surrounding areas. Their representation of sellers and buyers spans a wide range of clientele that include first-time homebuyers, executives, investors, developers, entrepreneurs, families and more. Ashley and Jonathan’s proven track record of success paired with their negotiation skills, world-class client service, and marketing expertise guarantees that every buyer and seller they represent receives exceptional results. Their expertise combined with the backing of one of the top brokerages in California, Rodeo Realty, produces extraordinary results. Whether you’re looking for your dream home or selling your current property, Ashley and Jonathan are your preeminent resource for all your real estate related needs. Ashley Novak is an outstanding realtor! I was feeling nervous about purchasing my first condo but Ashley was so patient and knowledgeable and made me feel at ease. I had many requirements and she found my dream place and we made an amazing deal. I don’t know what I would have done without her help. She was persistent and her communication was always prompt. I highly recommend her to anyone in the market for a new place! Ashley came recommended through a friend to help me purchase my first home. She made the whole process easy with her patience and knowledge. She made herself available to me at all hours to answer my questions, calm my nerves and provide updated information. She’s a great agent and a sweet person as well! Ashley is the BEST! We were in a really sticky situation because our old landlord was tearing down the house we’d been in for four years to build condos. We have a Great Dane and most rental properties in Los Angeles have a weight restriction for dogs. Also, I am building my credit-so that was working against us too. She really listened to all of our needs and concerns and found us the perfect place. Ashely took care of all the negotiations for us and made sure this was really the place we wanted. Thanks Ashley! Couldn’t have done it without you. I recently moved to Los Angeles and was referred to Ashley by a co-worker. I was in a time crunch to find a place as I was living in temporary housing and wanted to find a permanent home as soon as possible. Ashley was very diligent and was able to help me find a home and get my offer accepted within 2 weeks. She was on top of everything throughout the process and my transition was seamless. She is very knowledgeable, personable, and responsive and made the home buying process stress free in a very stressful time in my life. I would definitely recommend her to anyone! Ashley is the best! She really went the extra mile helping me find a new apartment under very short notice…and I couldn’t be happier. Ashley is very detail oriented and really cares about her clients. I recommend her to all of my family, friends and colleagues. Ashley is extremely knowledgeable, accommodating, professional, and personable! She knows Southern California well and specializes in luxury areas. She is very helpful with clients interested in buying, selling, investing, and renting. I wouldn’t use any other agent! Ashley is the BEST! Working with Ashley was amazing. She gets things done in a quick and efficient way. She was very personable and easy to work with. You can tell she has a lot of experience in this field because she handled my situation with ease (which I thought would be difficult). I definitely recommend Ashley for looking for your next home! Ashley is a fantastic agent! When we recently moved back to LA, I was referred to Ashley by a friend. Ashley truly went above and beyond in helping us find the PERFECT place, and was always there to answer any questions and concerns we might have. We love our new home! I highly recommend her! !